We are thrilled to announce that Gemma Bulos, Director of the Global Women's Water Initiative will be speaking at the launch of USAID's first ever Water and Development Strategy on Tuesday, May 21 in Washington DC! See press release below. Also, on the following day Wed, May 22, USAID will be hosting a special event featuring Gemma: "Women's Entrepreneurship and Leadership in Water and Sanitation. 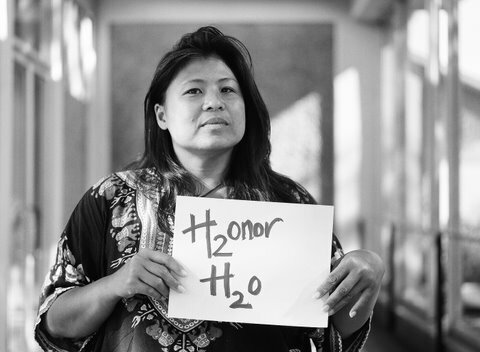 Gemma will share how the Global Women's Water Initiative is building a cadre of women WASH trainers versed in a holistic water, sanitation and hygiene strategies (WASH). See more info here. Join U.S. Agency for International Development (USAID) Administrator Rajiv Shah, Senator Richard Durbin, Congressman Earl Blumenauer and Congressman Ted Poe as they release the U.S. Government’s first Water and Development Strategy. Also presenting will be Gemma Bulos, Director of the Global Women's Water Initiative to speak on the importance of building capacity of women in the water sector. The strategy is already receiving praise from lawmakers on both sides of the aisle, and strongly positions water as foundational to sustainable progress across many other vital development challenges including health, food, education, HIV, gender equality, and climate change. It will increase both the amount and the effectiveness of foreign assistance in the safe drinking water and sanitation sector, and serve as an important benchmark going forward for how we target our foreign aid. This strategy will address global water-related development needs by providing a clear understanding of USAID's approach to water programming, emphasizing how sustainable use of water is critical to saving lives. WHEN: Tuesday, May 21, 2013 10 a.m. – 11 a.m.
Hello,The strategy expects to spare lives and development improvements through enhancements in water supply,sanitation and WASH programs, and through sound management and utilization of water for food security.To attain this, the strategy sets two vital destinations.The primary is to enhance wellbeing conclusions through procurement of reasonable WASH programs,by concentrating on giving safe water,an expanded emphasis on sanitation and support for projects that can be brought to scale and maintained.Thanks a lot for your post.